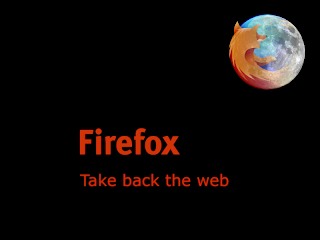 Firefox 3 Alpha version released. Mozilla yesterday released the Alpha version 1 of Firefox 3 which is code named Granparadiso Alpha 1. You can download the Alpha version at the Mozilla's FTP site. It was only about 6 weeks back that Mozilla released it's FireFox version 2 and it is rumored that Internet Explorer 7 has captured a better market share over FireFox 2. FireFox 3 which is slated to be released in it's full version somewhere at the end of 2007 will incorporate some features modelled after Internet Explorer 7. *One new feature planned to be in the new browser is called "places", which takes a new approach to bookmarks and page history. Reportedly, these items will be transitioned to the left side of the browser, sort of like Internet Explorer 7. *Improvements to tabbed browsing will include the ability to move around and reorder tabs in a single browser, as well as a button right next to the last open tab that brings up a new tab, taking another page out of the IE7 list of features. *Additionally, Firefox 3 will add the ability to receive automatic Firefox updates, like security updates. *Version 3.0 will have increased session saving capabilities, including the ability to save all data logged in a single session, such as data entered into forms and posts, and the entire page viewing history. *Resumable downloading will also be more easily available. *Users have the option of whether or not to enable the session restoration prompt upon opening Firefox. Also apart from these reported features the new version is expected to feature better support for a crucial graphic standard namely Scalable Vector Graphics (SVG) language. It will also support Cairo graphics library project, which has been designed to make Web pages look the same, irrespective of the platform. Pages compiled under this new library, will look the same on both PC and mobile devices. * Moving DOM nodes between documents now requires a call to importNode or adoptNode as per the DOM specification. If you need an idea about installing and uninstalling Firefox 3 alpha version, go to this page and scroll down to the relevant area. It has to be noted that the alpha version 1 is intended for web application developers and the testing community. Current users of Mozilla Firefox should not use Gran Paradiso Alpha 1. Microsoft and Secunia at it again and FireFox 2 too affected? ALL IE7 and FIREFOX vulnerabilities as of date. Highly critical vulnerabilities in Firefox and Explorer.